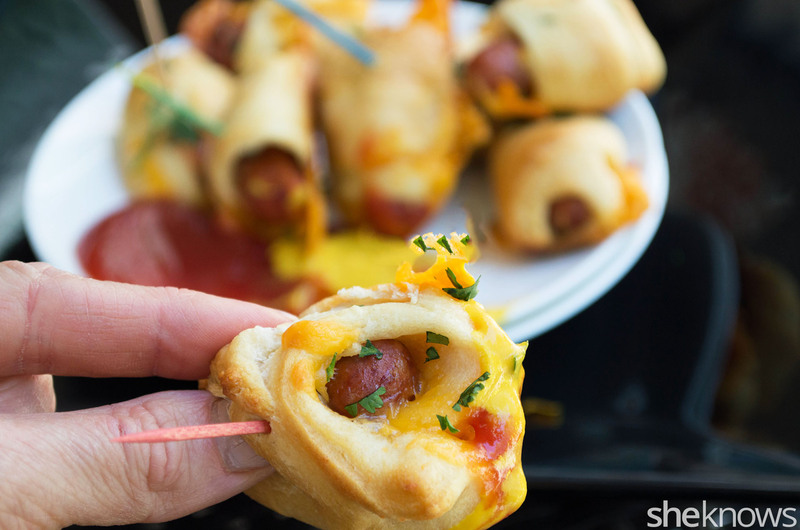 Everyone loves pigs in a blanket, but why not switch things up and make them unique? Here are five fun, easy and creative spins on this classic recipe. Growing up, one of my favorite things to snack on was my mom’s pigs in a blanket. While the traditional recipe of basic hot dogs wrapped in crescent rolls and then dipped in ketchup was delicious, I wanted to get more creative. 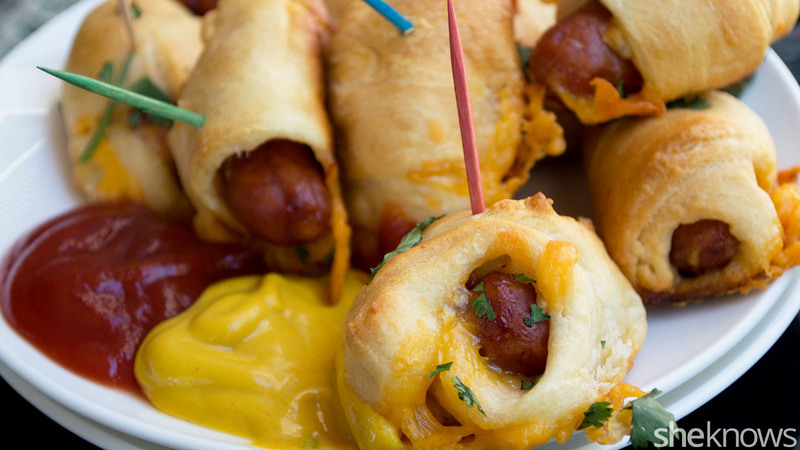 Here are five easy, revamped ways to make pigs in a blanket, and there is one for everyone to enjoy. From the cheesy vegan version right down to the gluten-free option, there should be no problem here when finding a recipe to satisfy that childhood craving. Make the search for vegan-friendly ingredients easier by checking out your local heath food store or the specialty foods section at most grocery stores. 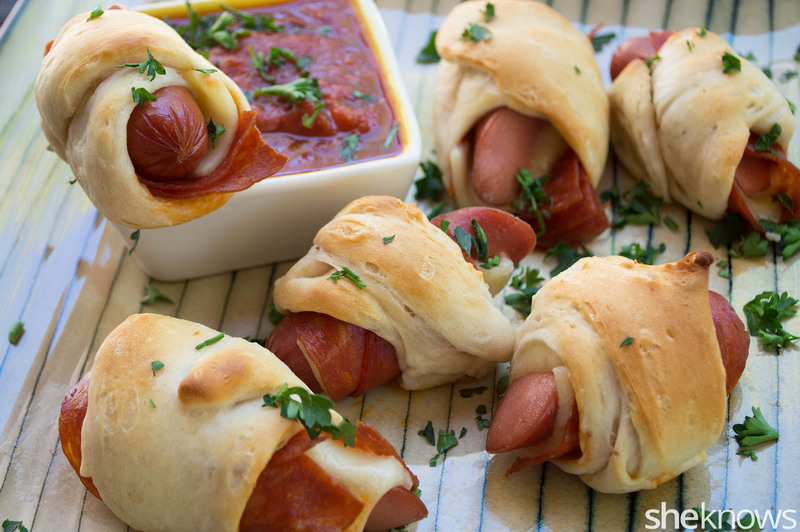 These pigs in a blanket ideas are not only great for snacking on for lunch or dinner but also double as a finger food when entertaining. Pepperoni and mozzarella are used in this easy Italian pizza spin of the classic pig in a blanket. Make sure to get that marinara sauce out for dipping! Roll the pizza dough out into a rectangle, and cut the dough into 12 equal-size strips. Take 1 sausage link, and top it with 2 slices of pepperoni and a slice of mozzarella cheese. Wrap a strip of the pizza dough around the sausage link, and place on the baking sheet. Repeat with the remaining sausage links, pepperoni, mozzarella and pizza dough. Bake for 13 to 15 minutes or until the pizza dough is golden brown and the cheese has melted. Remove from the oven, and garnish with fresh chopped parsley. Best served warm with marinara sauce for dipping. 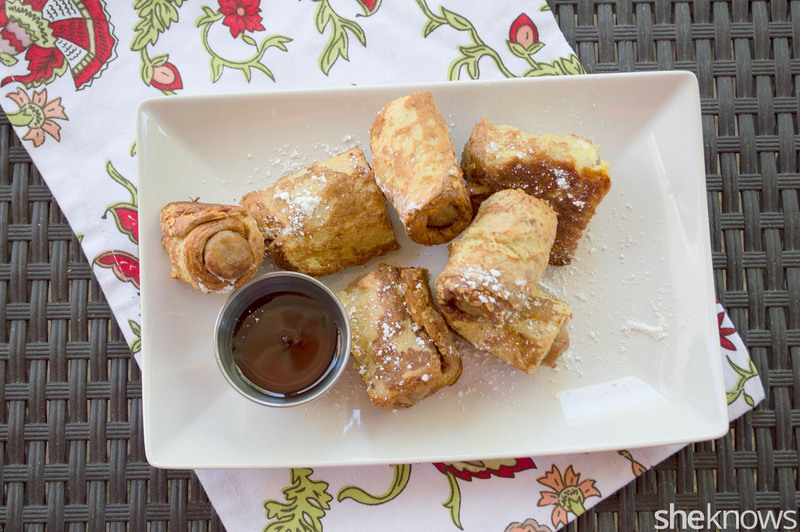 This breakfast-friendly twist uses turkey sausage and French toast for a morning time pig in a blanket perfect for kids. Heat the oven to 375 degrees F, and line a baking sheet with parchment paper. Set aside. Heat a large, nonstick skillet over medium heat, and add the butter. In a bowl, combine the eggs, half-and-half, vanilla extract and spices, mixing well. Dip 1 slice of bread into the egg mixture, and cook in the pan for 2 minutes per side until all the French toast is prepared. Cut each slice of French toast in half, and wrap each half around 1 turkey sausage. Place the wrapped sausages on the baking sheet, and bake for 11 to 13 minutes. Transfer to a serving plate, and sprinkle with powdered sugar. 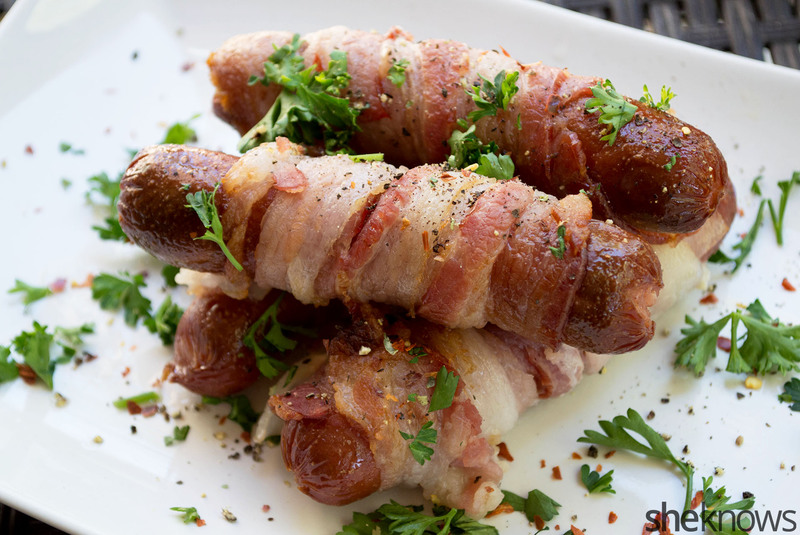 Skip the dough, and wrap mini sausages in all-natural bacon for a gluten-free pig in a blanket. Tip: This gluten-free version would be great dipped in steak sauce or sliced up and served on top of a green salad. Heat the oven to 400 degrees F, and line a small baking sheet with aluminum foil. Take 1 hot dog and 1 slice of bacon, and wrap the bacon around the hot dog. Repeat with the remaining bacon and hot dogs, and place on the baking sheet. Season the tops with garlic salt, cracked pepper and red chili flakes. Place in the oven, and bake for 20 minutes or until the bacon is nice and crispy. Remove from the oven, and transfer to a serving plate. Garnish with fresh chopped parsley, and serve warm. Chicken strips and buttermilk biscuits make this version a perfect for any Southerner to nibble on. Open the can of biscuits, roll the dough out into a rectangle, and cut the dough into 8 single pieces. 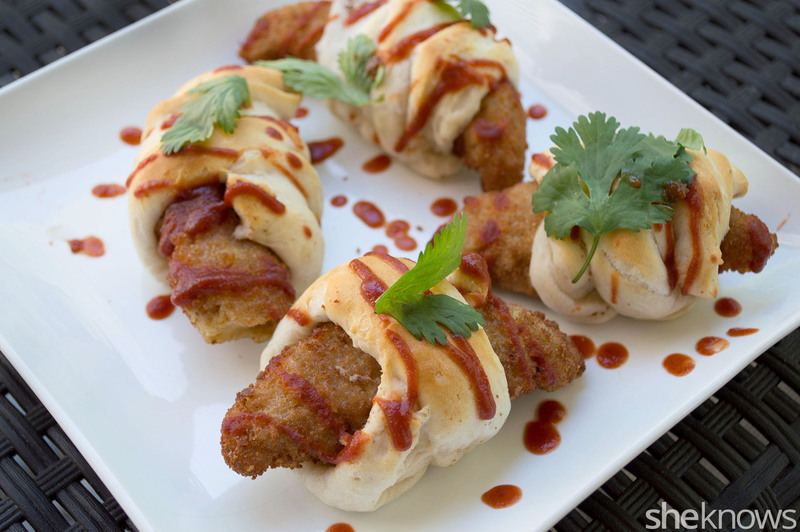 Take 1 chicken tender, and wrap a piece of dough around it. Repeat with remaining dough and chicken, and then place the tenders on the baking sheet. Bake for 18 to 20 minutes or until the chicken is cooked and the biscuits are a golden brown color. Remove from the oven, and transfer to a plate. Drizzle with hot sauce, and garnish with chopped parsley. Plant-based, veggie-friendly hot dogs are topped with veggie cheese and wrapped in vegan-friendly pizza dough. Cut each veggie dog in half and each slice of cheese in half. Roll the pizza dough out into a rectangle, cut into 8 strips, and then cut the 8 strips in half (you should have 16 small strips of dough). Take 1 strip of dough, place a slice of cheese in the center, and wrap the dough around 1 veggie dog. Place on the baking sheet, and repeat until all the veggie dogs are wrapped. Bake for 13 to 15 minutes or until the pizza dough is a nice, golden brown and the cheese has melted. Garnish with fresh chopped parsley, and serve with ketchup and yellow mustard.